The combination of ruggedness, simplicity, versatility, long battery life, and affordability make this a great choice for mixed practices, research, academia, and wildlife. The screen, keyboard, and trackball allow easier use of some of the more advanced features (measurements, gestation tables, dual imaging, saving and cataloging images). The Ibex® PRO is versatile—it has a screen for those applications that require it or people who prefer it, but still accommodates the video headsets. The mixed practitioner can use it laptop-style in the clinic or chute-side, and then strap it on to use with headset for field use. It uses the same large selection of variable-frequency transducers and accessories that the LITE does. 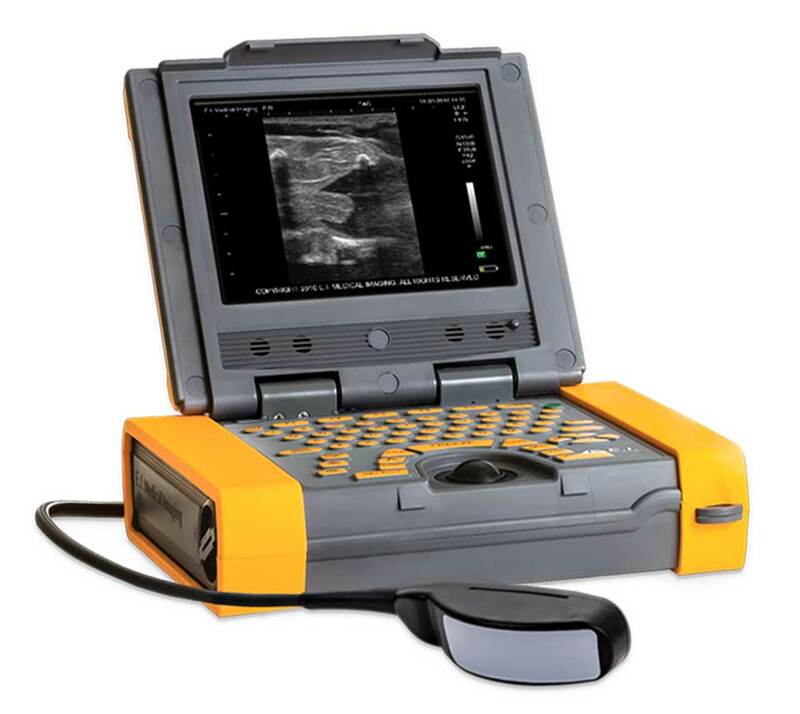 The Ibex® PRO ultrasound is a versatile ultra-portable system that can be worn on the body or set on a table. The PRO is designed for bovine and equine reproduction, basic small animal and soft tissue diagnostics. Water-resistant and dust-proof with our proprietary DuraScan® casing, the Ibex® PRO can handle any environment. With advanced features typically found on higher-end systems, the Ibex® PRO can cover all your needs in one system. For more information, click here to download brochure.